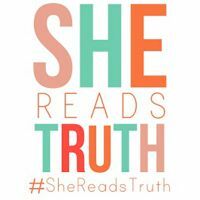 "#SheReadsTruth", "She Reads Truth", "what Bible reading plan should I use?" And today is the anniversary of a bunch of ladies (followed by a whole lot more ladies) starting to read through the Bible together. If you're not already a part, you should be okay? Okay!